A hugely competent 4x4 that’s staggeringly good off road and very good on it the Discovery 3 is a classy, if expensive, way to convey your family around in real comfort. It aces the Toyota Land Cruiser for luxury, but if rock solid reliability is your goal then the Toyota is a better choice. This Land Rover Discovery is the third to wear the badge. A well respected 4x4 that’s as at home on the road as it is up to its axles in muck, the Land Rover Discovery is a useful workhorse. That’s selling it short though, as it's not far off its Range Rover relative for luxury, ensuring its appeal goes further than just the farming community. A huge success worldwide it was replaced in 2009 by the Discovery 4. 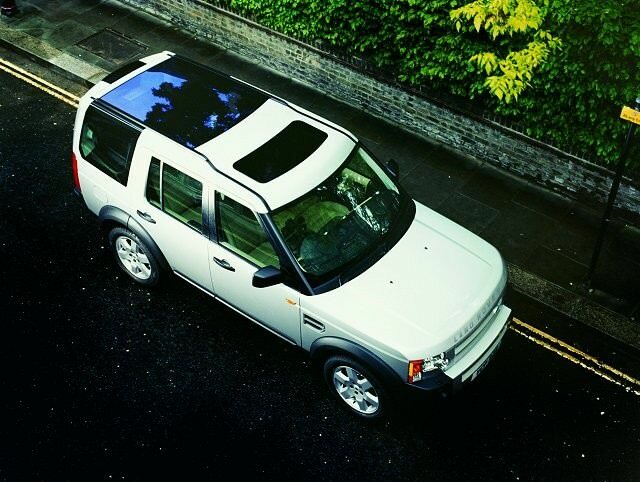 The Discovery 3 took the Discovery to new levels of class, off-road ability and on-road civility when it arrived in 2004. Available with seven seats it has become a hit among wealthy families who admire its utility, space and luxury. It's simply incredible off-road thanks to a clever dial-operated ‘Terrain Response’ system, which optimises the Discovery 3’s 4x4 drivetrain for the conditions. Yet the Discovery 3’s real trick is managing to retain Land Rover’s off-road credibility while offering a fine on-road experience. Two engine options exist with the Discovery 3, a 2.7-litre V6 turbodiesel and a 4.4-litre V8 petrol. Unsurprisingly it’s the turbodiesel that was the bigger seller, thanks mainly to its more palatable (if still quite high) combined fuel consumption figure of 10,2 litres/100km. Despite its hefty weight the Discovery 3 with the 2.7-litre TD6 engine still manages to reach 100km/h in 11.6 seconds. The diesel was offered as standard with a manual transmission, but a six-speed automatic is normally specified - and is standard on the 4.4-litre V8 model. Trim levels include S, XS and HSE, with all featuring a decent standard level of equipment. There are a number of commercial models available too, losing the rear seats completely to create load space. If you can find a non-commercial Discovery 3 you’ll be doing well, though search out a TDV6 in any specification available. The 2.7-litre turbodiesel is an excellent engine, which returns decent economy given the Discovery 3’s bulk. Be wary of those without service histories, as the Discovery 3 doesn’t have the best reputation for reliability.